Most of the time when I want an expensive kitchen item, I either save up money over time (ex. KitchenAid standmixer), or I come to grips with the fact that it's just not practical enough and I'll never own it (ex. juicer). In the case of the 10-foot oven, I haven't come to grips with anything and I still really want it. 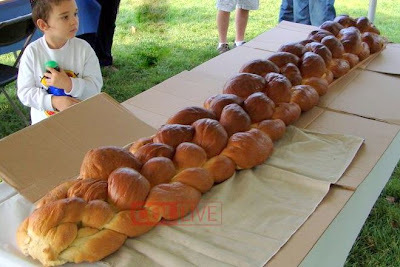 Because how else do you expect me to reproduce this 9-foot challah at home? A-M-A-Z-I-N-G! Monster oven remains on my wishlist. I'm not budging.